Eric and Laura began dating in March of 2009. 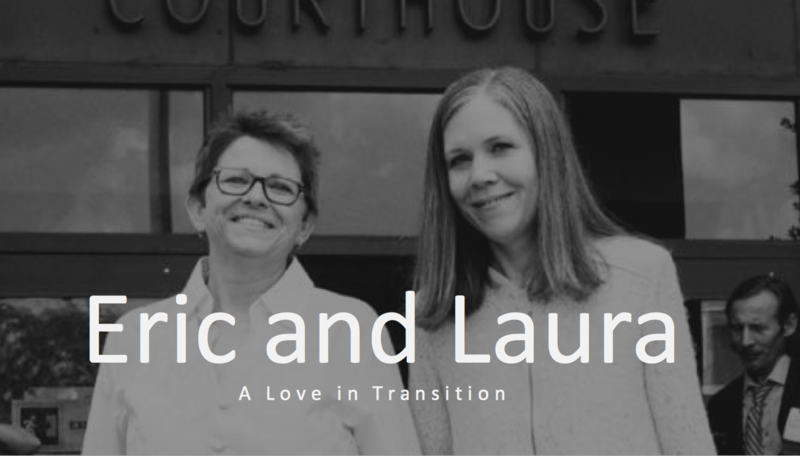 Eric and Laura got married on July 17, 2015, in a small courthouse wedding.Their marriage certificate says “Erica and Laura”. After three years of marriage, Eric (very recently) came out as a transgender man and wants to transition medically (testosterone and chest surgery). Laura, who identifies as a lesbian, says has fought her “whole life” to carve out a lesbian identity. Eric Crabb Moon is a multi-faceted filmmaker and has been working in and around the film and television industry in some capacity since he was ten years old (Eric’s father is a film/tv actor). Eric’s current project is as co-Director and Producer on a documentary (Latin 4 Plus) with Marco Orsini for MoJo Entertainment. Eric also has a feature film in development. Eric and Laura: A Love Lost in Translation is produced by Award-winning producer, Trevite A. Willis has produced digital content projects, short and feature films since 1999. Her work includes CHILDREN OF GOD which had theatrical releases in the US, UK and The Netherlands, won 17 awards, and sold in 24 territories. She also has founded the Southern Fried Film Festival in Huntsville, Alabama with Kelley Reischauer. Eric has produced, directed, and written a handful of short films, including the award-winning short drama Give Us This Day (starring Deborah Duke and Georgiana Dube). Additionally, Eric has co-produced two feature films, Sandtown (starring Georgiana Dube and Danny Findley) and Dear Willie (starring Deborah Duke, Karlos Walkes, and Charles Black). In 2006, Eric was honored by Southern Screen Report Magazine as one of the top filmmakers in the Southern USA. Eric’s television work includes producing and shooting in the field for several reality shows (TLC’s Say Yes to the Dress, TruTv’s S.W.A.T. USA, SPIKE TV’s Disorderly Conduct). Recently, Eric was Associate Producer for the feature documentary film The Unafraid by award-winning Directors Heather Courtney and Anayansi Prado.